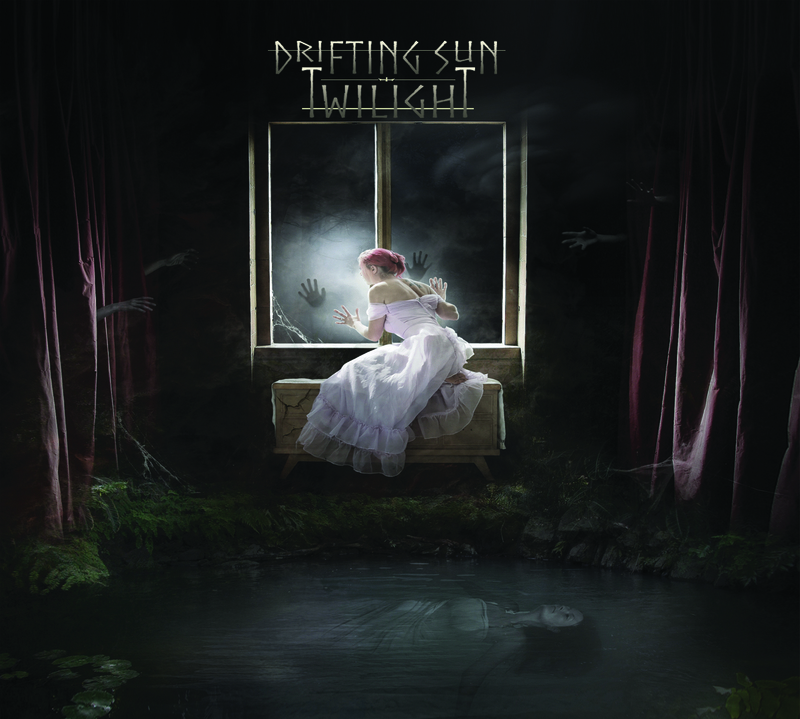 Drifting Sun have made another leap forward with their latest album, Twilight. With their last two albums both reviewed favorably here at Progarchy, that is no light praise. A UK based studio project, Drifting Sun has re-emerged over the last few years from their initial formation in the early 1990s to produce high-quality music worthy of any progressive rock fan’s collection. The lineup has remained relatively stable since their last album, 2016’s Safe Asylum, with only one member changing: Mathieu Spaeter replaces Dan Storey on guitars. Other members include founder and keyboardist Pat Sanders, vocalist Peter Falconer, bassist Manu Michael, and drummer Will Jones. All of these guys are at the top of their game. Throughout the album I found myself thoroughly enjoying the musical complexity of drums, guitars, keyboards, and bass. New guitarist Spaeter adds a classic touch of rock brilliance to the band’s overall sound. Furthermore, Peter Falconer has a fantastic voice with a remarkable range. At times smooth and others times rough, his voice matches the music perfectly. Upon my first listen, one of the things that jumped out to me was this album did not feature the fantasy elements of the previous albums. Instead, Twilight deals with themes of life and death. I can also detect a slight horror theme, especially in the eerie keyboards of “Twilight” and “Mystery of Lies.” The bluesy guitar solo that opens the latter song soon gives way to keys that harken back to some of the classic horror movies of the 1970s. The cover art also contributes to this theme, in my mind. The vocal harmonies featured throughout Twilight remind me a bit of Moon Safari. The combination of instrumentality with the layered vocals (which may all be Falconer’s vocals – I’m not sure) works really well. Additionally, Will Jones drums hold everything together. The man certainly has chops, and his interplay with Manu Michael’s booming bass creates a wonderful rhythm section. This interplay is perfectly showcased on the opening to the longest song on the album, “Summer Skies.” This song also features some excellent melodies and vocal lines. The tempo changes throughout, the guitar solo – everything works together to make this an excellent track. For anyone who enjoys synth and keyboard driven progressive rock, Drifting Sun is the band for you. I’ve always enjoyed all types of keyboard sounds, and Pat Sanders includes myriad sounds and textures. He also seems to have taken a more balanced approach to the keys this time around compared to Safe Asylum. There is a good variation of clean piano, synths, and organ all interspersed in the perfect places. Everything is where it should be, and that makes me very happy. Now the path I choose is right. In a sense, the narrator of the story almost comes full circle. Even if he seems to have made a decision on life versus death, he still finds himself uncertain. The lyrics throughout the album cause the listener to stop and think, as any good album should. Musically and lyrically, there is a lot in which to delve on Twilight. Pat Sanders, the founding and central member of Drifting Sun was nice enough to answer some questions via email about the album and band for Progarchy. Progarchy: Drifting Sun’s last two albums had more of a fantasy theme, but “Twilight” seems like a departure from that lyrically. From the album artwork, I get a sense of eighteenth century horror instead. Can you talk about the themes or concept(s) behind “Twilight,” as well as what inspired the change? The lyric’s themes in our songs are purely circumstantial, they vary according to the mood of the song, our mood at the time they are written, no particular reason why the songs on Twilight talk about different things than in the previous albums. Progarchy: With the lineup changes the band has experience over the years, including the recent change of guitarists, how has the band’s writing process changed or evolved? PS: The writing process, though many line-up changes have occurred in the last few years, has pretty much remained the same. I write all the music then pass it on to the other guys in the band and they come up with their parts for the songs, mostly based on what I give them on the demos. Progarchy: What was the writing process like for “Twilight?” Do the lyrics come first and then the music, or is it the other way around? Or do they both unfold organically? PS: Music usually comes first then vocals/lyrics, but sometimes, depending on what Peter comes up with in his vocals and lyrics, I adapt what I had written to fit the song the way it then shapes up to be. Progarchy: Can you tell us about some of your musical influences? PS: Oh we like a WIDE range of musics… from Jethro Tull and Rush, to David Bowie and Prince, to Iron Maiden and Kiss, and Judas Priest, the Scorpions, a lot of the heavy and hard rock scene of the 70’s and 80’s, but also most of the big prog names such as Yes, Genesis, KC etc… the list goes on forever! Progarchy: Are there any plans for live shows or a tour? PS: Not at present, we are strictly a studio project at this stage. Progarchy: If given the opportunity to play anywhere, in what country would you most like to play and why? PS: Personally, I like the craziness of the French public! And also loved touring in Canada… cold weather but warm audience! But anywhere is great, as long as you connect with the people and you all get a good feeling together. Progarchy: What is your opinion of the current progressive rock scene in general? PS: There is a great resurgence of the genre at the moment, and I am glad that a number of bands are coming up with fresh ideas, definitely an exciting time for progressive rock. Lately, I have discovered a few bands which I am very fond of, such as Scarlet Hollow from the USA and La Fabbrica Dell’ Assoluto from Italy… good stuff! Progarchy: Anything else you’d like Progarchy readers to know? Give Twilight a listen. Drifting Sun are another great band making music for the love of the art and genre, and they are well worth your time. Happy 50th Birthday, Brad Birzer, Über-Progarchist!